Microsoft is a Lab and Center member of CRA. This article is the second in a series of our industry member profiles. 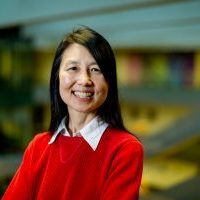 Jeannette M. Wing joined Microsoft Research in January 2013, after holding positions in academia and government, most recently at Carnegie Mellon University and the National Science Foundation (NSF). From 2007 to 2010, she served as assistant director of the Computer and Information Science and Engineering Directorate at the NSF. 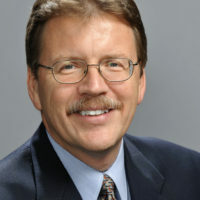 Wing is a former CRA board member and recipient of the 2011 CRA Distinguished Service Award. Her areas of expertise are in trustworthy computing, formal methods, concurrent and distributed systems, programming languages, and software engineering. IBM Research is a Lab and Center member of CRA. This article is the first in a series of our industry member profiles. It’s not surprising that the public’s imagination has been ignited by artificial intelligence since the term was first coined in 1955. In the ensuing 60 years, we have been alternately captivated by its promise, wary of its potential for abuse, and frustrated by its sometimes slow development. But like so many advanced technologies that were conceived before their time, artificial intelligence has come to be widely misunderstood—co-opted by Hollywood, mischaracterized by the media, and portrayed as everything from savior to scourge of humanity. Those of us engaged in serious information science and in its application in the real world of business and society understand the enormous potential of intelligent systems. The future of this technology—which we believe will be cognitive, not “artificial”—has very different characteristics from those generally attributed to AI, spawning different types of technological, scientific, and societal challenges and opportunities, with different requirements for governance, policy, and management.